No need to fly all the way to Thailand for a Southeast Asian affair. The intimate Nandana Private Resort, an Asian-inspired oasis, sits just off the East Coast. Only twelve guests can call Nandana home at a time, but there’s plenty of space for everyone to spread out. The five oversized suites and main hall are lined with Thai teak, and Asian flourishes (a carved elephant here, a door salvaged from a Javanese temple there) appear at every turn to transport you to another continent. The staff is on call 24/7, so if you crave pad Thai at 2 a.m., simply pick up the phone. And for rehearsal dinner under the stars, the scheduled beach rivals and on Phuket. 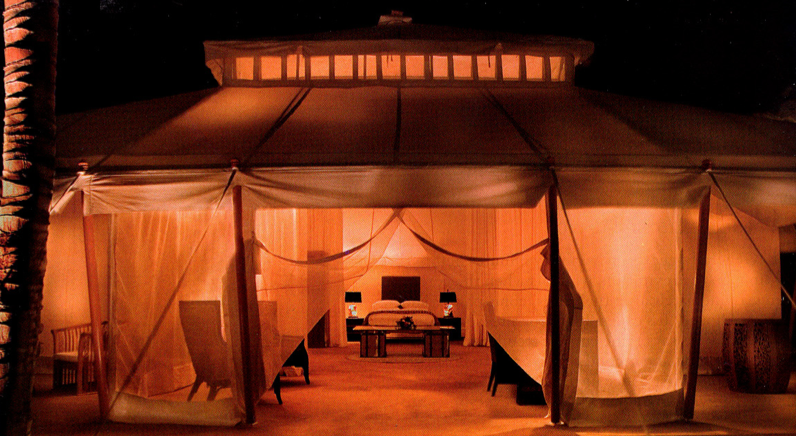 The enormous safari-style tented suite (bride and groom have priority! ), set right on the shore. Nandana’s staff will secure a marriage license; all you have to do is turn up at least twenty-four hours before your wedding with the appropriate identity papers. The resort works with top-botch planners to stage weddings and can handle all the heavy lifting, from hiring an officiant to organizing a late-night fireworks display. Commercial airlines fly to Freeport, Bahamas, where staff will greet you with cold towels and ground transportation. Private-jet passengers arrive at the resorts’s airstrip, while yachters pull up to the front dock; customs officials await. The 3,000-acre island’s twenty-five thaych-roofed bungalows were built in the style of a Fijian village. Each of outfitted with a wooden bath, an outdoor shower and a private pool.